Video is a powerful force on the Internet and helps enrich your search results enormously. Dental Web Services offers a comprehensive library of animated movies you can link to your website, or we can shoot live footage and create a customized video featuring you, your staff and your office. 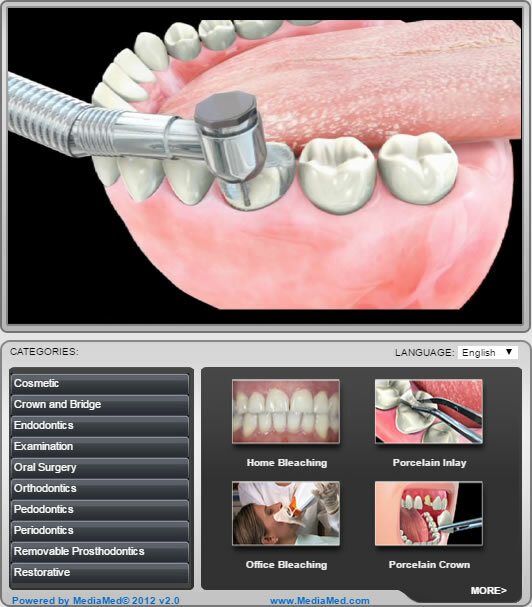 These online animated movies will educate and inform patients, with step-by-step explanations of common dental procedures that give readers access to valuable information about your services any time, any place. And best of all, we offer these videos free as part of your monthly website package.